Amanda Tiffen lost 20kg in nine months after quitting sugar and has written a best selling book about her experience. AMANDA Tiffen thought she had armed herself with all the facts about sugar. She knew that junk foods such as soft drink, ice cream, cakes and biscuits were loaded with the stuff and to be avoided. "I wasn't a big sweet eater. 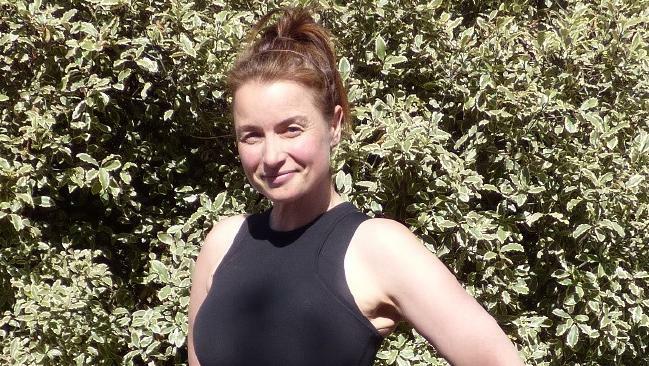 I'd go out and have ice cream with dinner, but I wasn't someone who would eat the entire packet of biscuits," Ms Tiffen, 43, from Christchurch, told news.com.au. But it wasn't until she watched the famous 2015 New Zealand documentary Is Sugar The New Fat? that she realised some of the "healthy" staples in her diet - low-fat yoghurt, muesli and salad dressings - were also packed with sugar. The documentary follows Kiwi psychologist Nigel Latta as he eliminates products containing "hidden" sugars from his diet. "[Latta] was going through the supermarket and picking out everyday products that I used to use - he picked out muesli and some flavoured tuna - and I thought 'I had no idea sugar was in that'," Ms Tiffen said. "I'd always wanted to lose weight because I was always getting bigger, but it wasn't until I watched the documentary that I thought 'Wow, maybe it's sugar and that's something I should try cutting out'," she said. She combed through her fridge and pantry and was shocked at what she found. 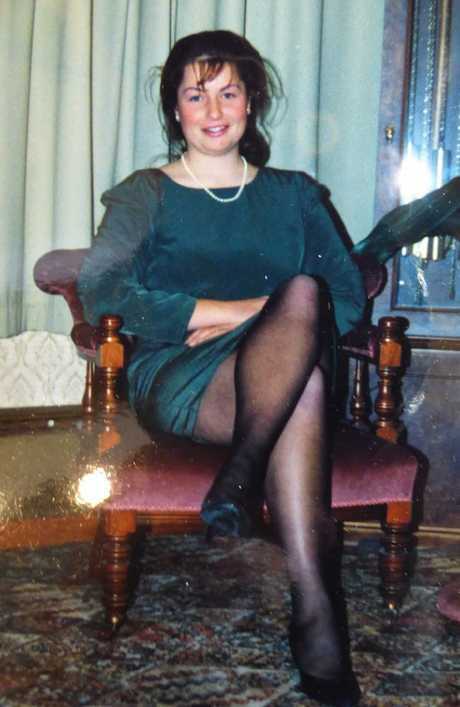 Amanda Tiffen before her 20kg weight loss. "I started looking at sugar amounts in the products that I had and I was noticing in the low fat products there was a lot of sugar. It stunned me because society has really taught me that the way to go to lose weight was low fat goods," she said. "When you've been living a certain way and you think you've been living the correct way, you're kind of a bit stunned. I was a bit in shock." 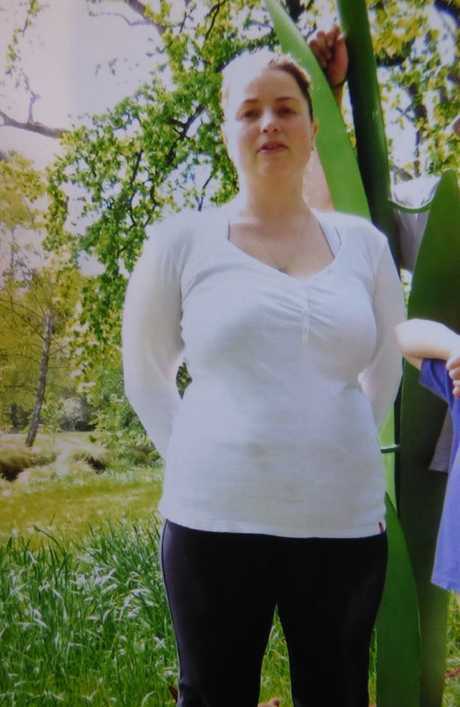 Amanda Tiffen after her 20kg weight loss. A diabetic friend recommended Ms Tiffen start building her diet around healthy proteins such as eggs, cheese and lean meats. Ms Tiffen has also taught herself to read nutrition labels, focusing mainly on the sugar and carb content. "I wasn't terribly worried about fat," she said, "because from what I'd seen, it says fat doesn't make you fat, sugar makes you fat. I thought 'who cares about the fat because a bit of fat is going to fill me up and help me eat less'." 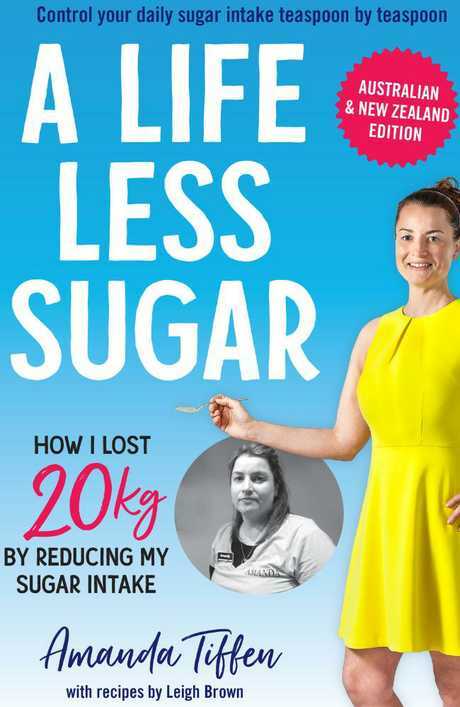 Amanda Tiffen's new book 'A Life Less Sugar'. In just nine months she lost 20kg and dropped from a size 16 to a size eight. Now she's written a best selling book about her experience, A Life Less Sugar, and runs an Instagram account (@alifelesssugar) calling out "healthy" products that are high in sugar. "I post everyday foods and I take the information given on the back of the packet and convert the grams into teaspoons," Ms Tiffen said. "People get confused by grams, but if we see that something has 10 teaspoons of sugar in it, we wouldn't eat it. 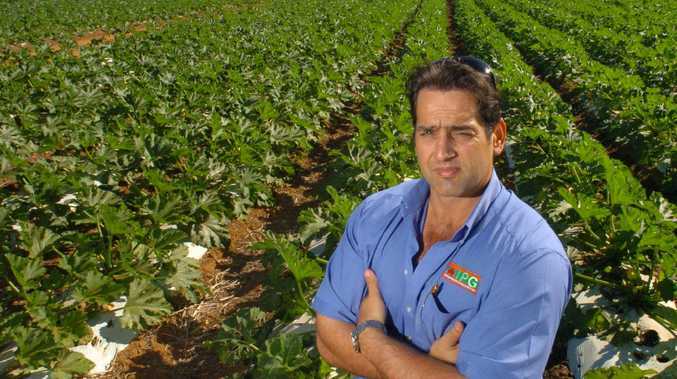 We need to have images of teaspoons on products so people can understand what they're eating." The World Health Organisation recommends reducing "free" or added sugars such as sweets, honey and fruit juices to less than five per cent of our total energy intake, or about six teaspoons of sugar. There are approximately four grams of sugar per teaspoon, so that equates to a maximum of 24 grams of added sugar a day. That excludes fruit and milk, which both contain natural sugars. But the average Australians consumes an average of 60 grams of "free" or added sugars a day, which is the equivalent of 14 teaspoons of sugar, according to ABS data. The majority of this sugar intake comes from beverages, including soft drink, fruit juice and sports drinks. The Dietitians Association of Australia (DAA) recommends we consume fruit juice and dried fruit only occasionally. Both are concentrated sources of sugars and are easy to over consume. The DAA also says junk foods and sweets are to be avoided on a daily basis and enjoyed only occasionally.